Fairtrade Fortnight: Fairtrade Bake Off! 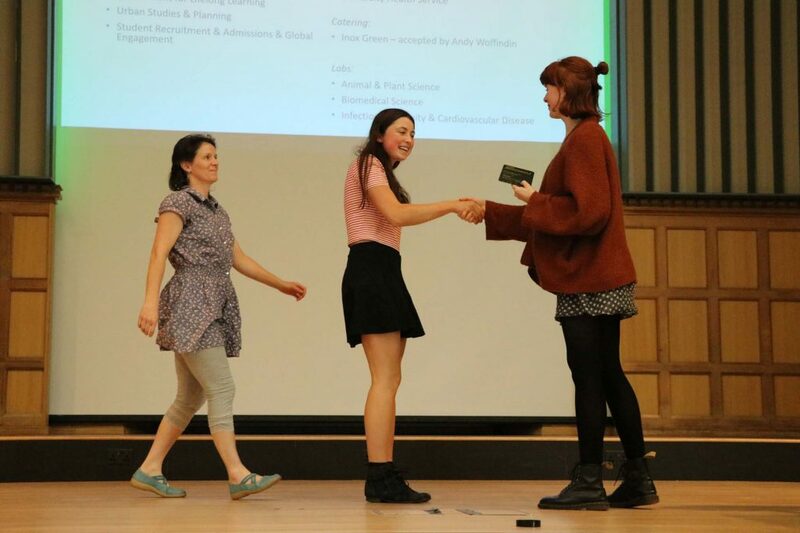 Last Thursday was the 2017/18 Green Impact awards ceremony and sustainability showcase! 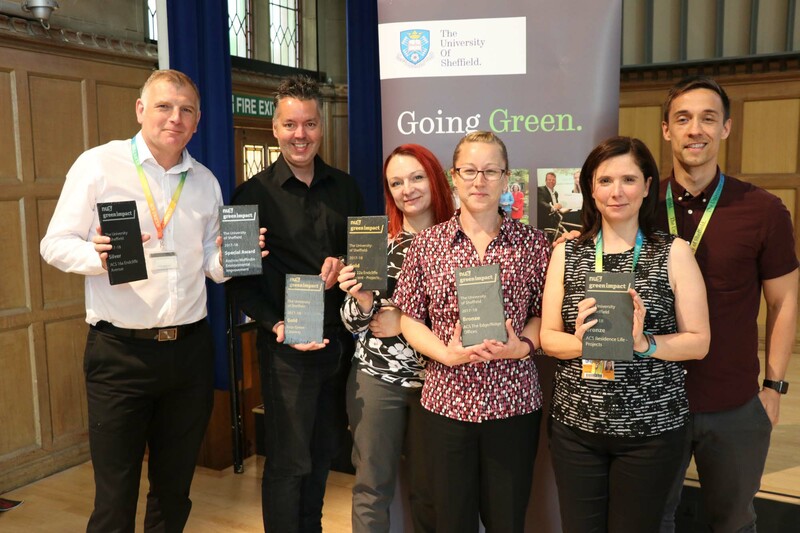 This year’s hard work paid off, with over 40 teams receiving their awards and contributing to a whopping 568 tonne CO2 saving across the university! We had some fantastic speakers, including Professor Duncan Cameron, the academic lead for the university’s vital new sustainability strategy. Instead of the traditional interval quiz, Duncan challenged guests to consider what our sustainable goals should be here at the university. 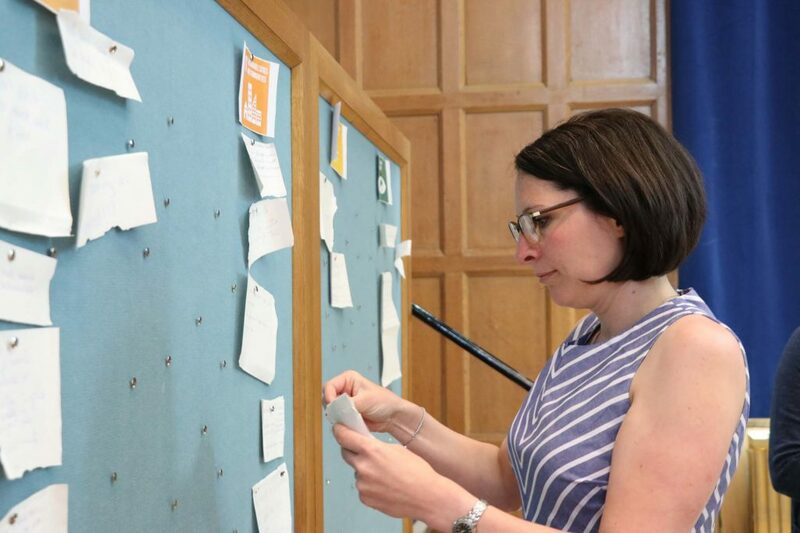 Having had a few days to read the fantastic suggestions our guests wrote, I saw an opportunity to let you know that some of the great sustainable things that are already being done here at Sheffield University. Sheffield University has its own wind turbine! Located at the AMRC, the wind turbine generated 620,000 kWh in the last 12 months. The average UK home uses 11,700 kWh per year, so that’s the equivalent of 53 houses. There are solar panels installed at Jonas Court, one of the university’s hotels. There are 88 panels on the Jonas Hotel roof. It is estimated they will generate over 23,000 kWh of electricity each year, equivalent to the annual electricity consumption of six semi-detached houses in the UK. Generating electricity with the panels will avoid the release of 8,130 kg of carbon dioxide. Sheffield University has a number of green roofs on campus. The roof at SITraN recently got a wildflower face lift too! All new buildings will have efficient lighting systems. Gusto, the university’s delivered hospitality service, collaborate with Our Cow Molly – a local dairy farm just 5 miles from campus? By switching to a local supplier, our milk now travels 300 miles less. They also have zero waste coffee packaging, with containers taken back to the roasters for re-use! Building users (that means you!) can report issues such as dripping taps & problems with heating to Estates. You can do this by Email (EFMHelpDesk@sheffield.ac.uk) or Telephone (0114 222 9000). There is now a Cycle Hub on campus with space for 168 bikes, showers and changing facilities. There’s a whole bunch of sustainable travel options – click here to browse them. Having a catered event? Make sure you contact Save Our Sandwiches if you have any leftovers! They are a group of volunteers at the University of Sheffield who redistribute surplus food from University food outlets to charities who give it to those in need. Post on their Facebook wall if you have food to collect, letting them know what you have and where the food is. You can recycle your empty pens, felt tips, highlighters, mechanical pencils, tippex bottles, fountain pens and ink cartridges at Jessop West foyer! The plastic is melted down to make recycled plastic products. If you would like to have a collection point in your building, check out the Writing Instruments Recycling Programme. Better than them ending up in landfill, eh? So there’s lots to shout about. With the release of the Student’s Union Student Manifesto for a Sustainable University, let’s ask the university for more! If you’re a student at Sheffield University, click here to support the manifesto. Here's some other posts you might want to read! 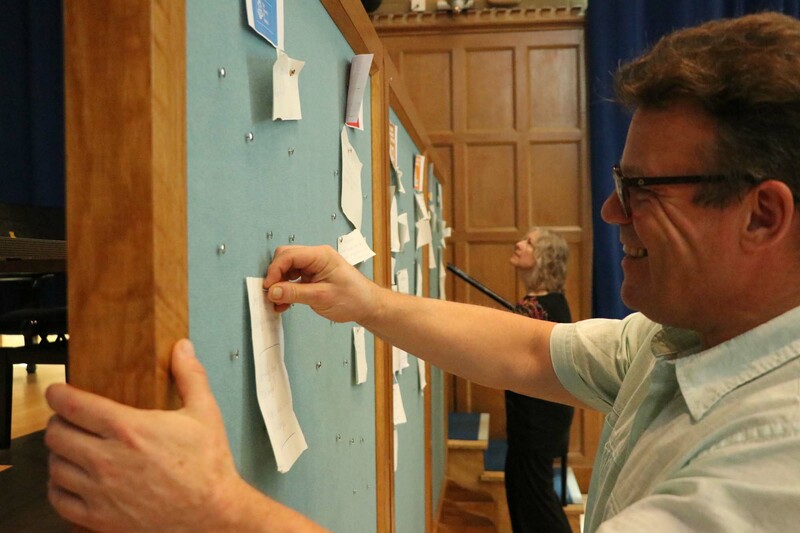 Next → Next post: Green Impact Sheffield Gets Revamped! 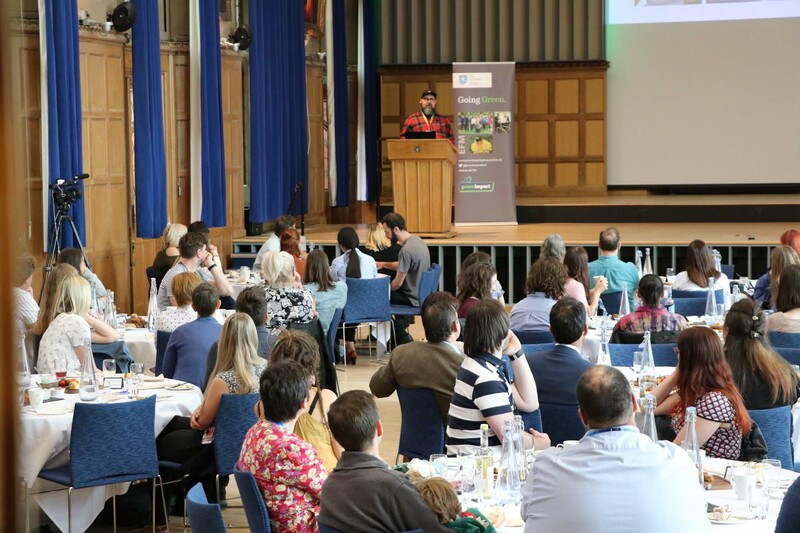 Green Impact is all about celebrating the achievements and progress teams have made over the course of the academic year. Cathedral Archer Project – Winter Clothes Collections! Green Impact Sheffield Gets Revamped!